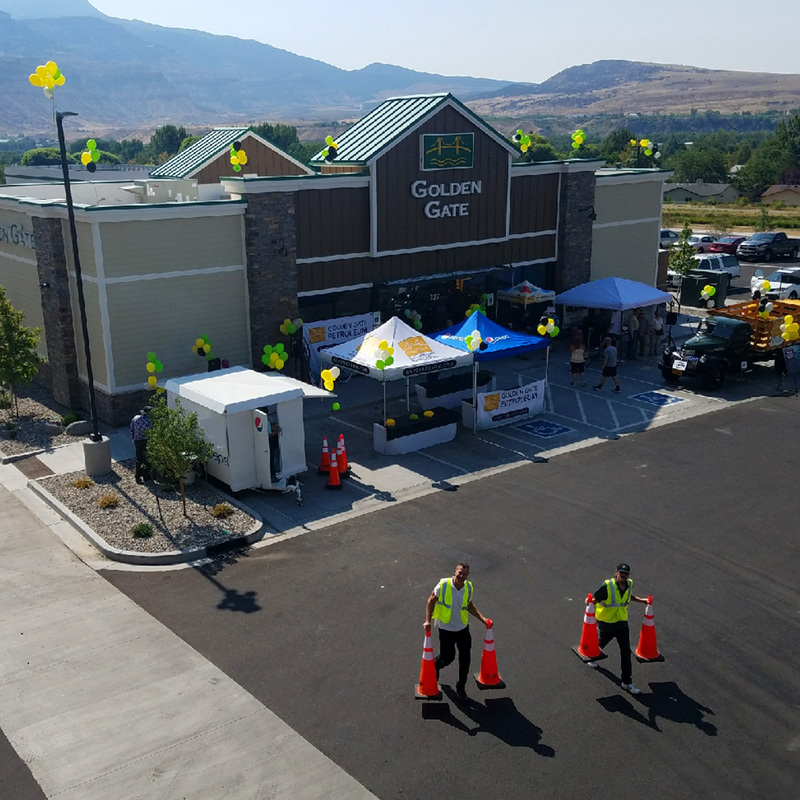 Palisade, CO – Golden Gate Petroleum recently celebrated its new Palisade location with a grand opening featuring free hot dogs, sodas and a raffle (did someone say WIN A BICYCLE? ), and free lottery tickets from the Colorado State Lottery. Locals and travelers lined up to fill up— at greatly reduced gas prices! As with all GGP store locations, the Palisade store features local offerings including peach salsa, jams, honey and wines for which the region is well known. If that wasn’t enough of a celebration, Golden Gate Petroleum owners, the O’Keefe family, joined the community as the town kicked off its annual Palisade Peach Festival at Riverbend Park, which draws people from Utah to Pennsylvania. A great time was had by all. 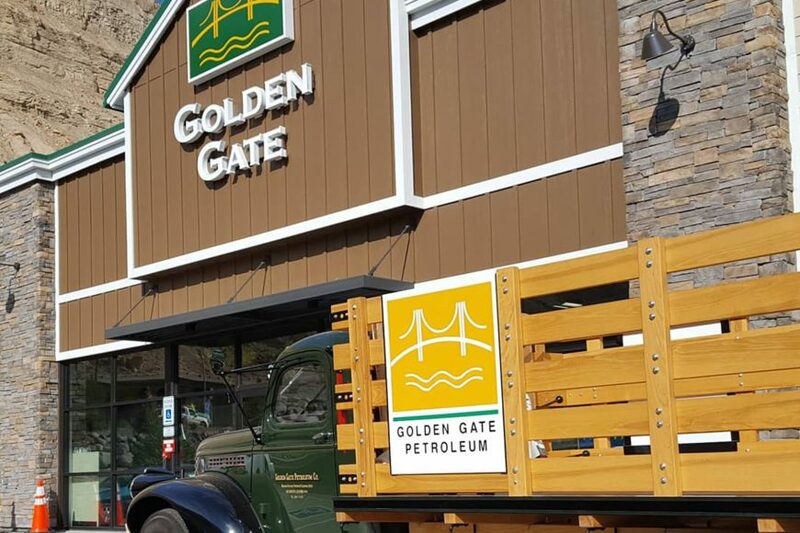 Golden Gate Petroleum is proud to be a part of the Palisade community. We look forward to serving locals and travelers for many years to come. GGP team is preparing for the new Palisade, CO location Grand Opening! 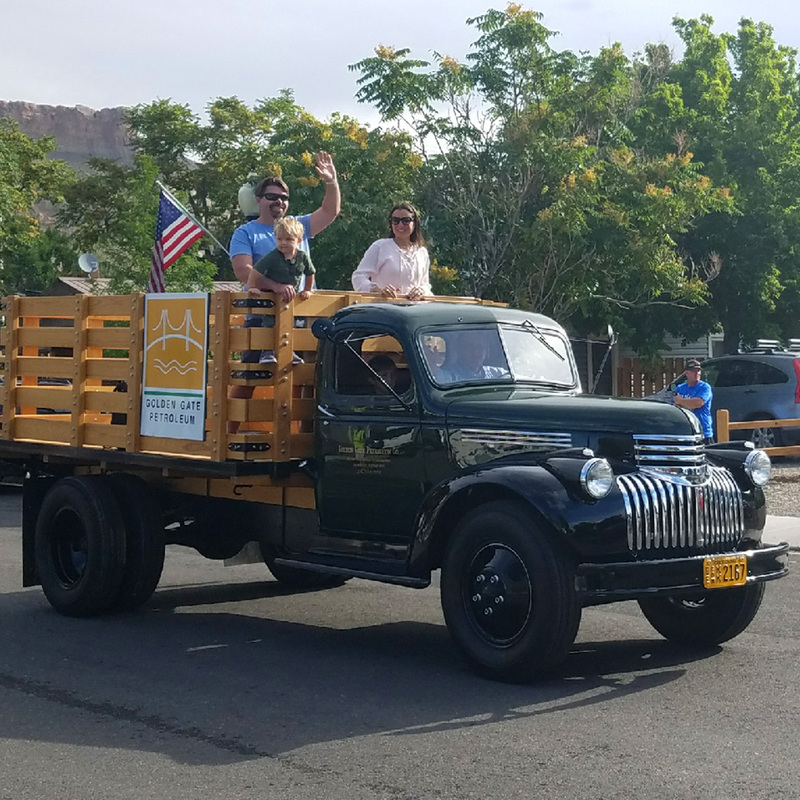 Owner D. O’Keefe drives the restored ’47 Chevy truck in the Palisade Festival Parade while family members Pat, Lori and grandkids wave to crowds. 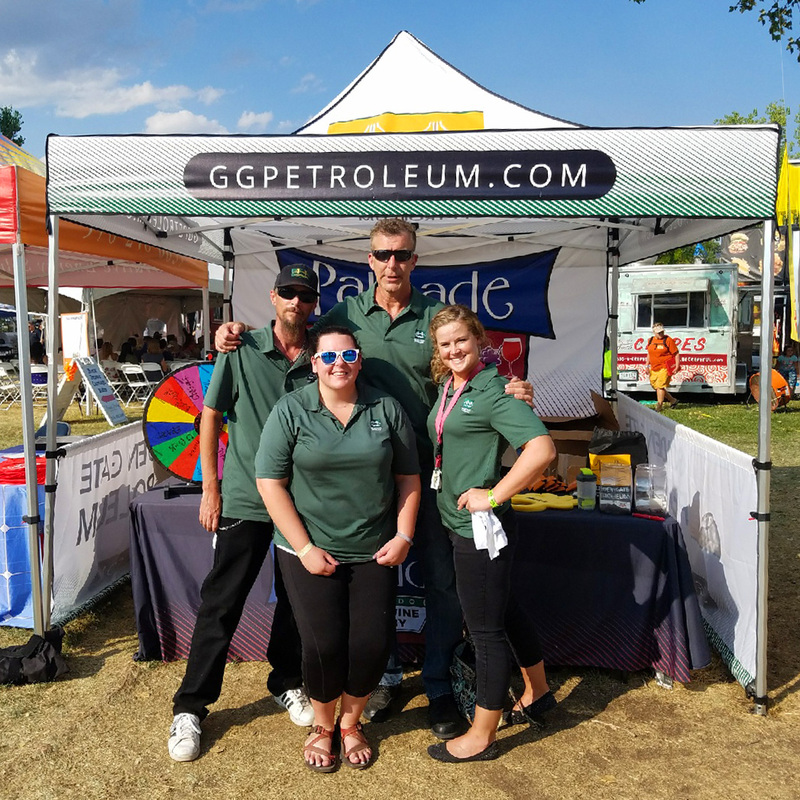 The GGP team (Drew Reed, Jessica Howard, Dave Collier, and Beoncia Porter) welcomes attendees at the Palisade Peach Festival with free giveaways.